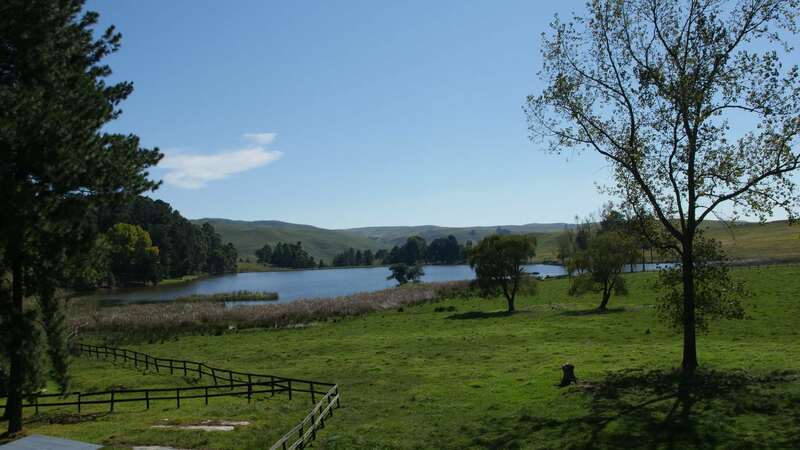 Set in the beautiful KwaZulu Natal Midlands, Invermooi is a premier Trout fishing holiday venue. With a fantastic selection of luxury self-catering accommodation, the location is ideal for both anglers and non-anglers alike. Invermooi has 2 dams MacNab and Malachite and 10km of River fishing. Set on a working farm it is a great place to enjoy the countryside, watch the birds and other wildlife, as well as to fish. There is plenty to do for family and friends in the surrounding area and the local Nottingham Road village has much to explore and there are a few good pubs to try out. Rainbow Lodge: Sleeps 8 in 4 x double bedrooms. Mooi Lodge: Sleeps 4 in 2 x twin bedrooms. The Cabin: Sleeps 2 in 1 x double bedroom. Quiet Waters: Sleeps 12 in 4 x double bedrooms (main house) and 2 Rondavels that both sleep 2. The minimum stay is 2 nights, except Easter, Christmas and New Year when the minimum stay is 7 nights. Luxury accommodation, great fishing and fantastic Trout… all you need for a perfect holiday.